Are you a Blogspot (Google Blogger.com) writer? If you want to create table in your Blogger.com posts, you just need to copy and paste table from LibreOffice Writer, as simple as that. This article explains the steps to do it with pictures and examples. Try this! Read also creating charts on Blogger.com with LibreOffice. 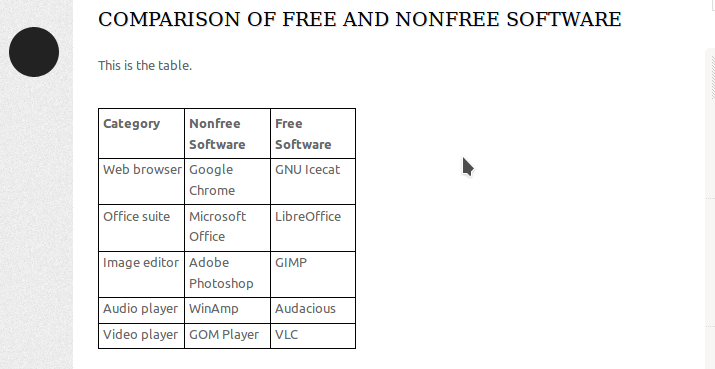 Here's a table made with LibreOffice Writer and copied to this post. You can make a table like this easily. 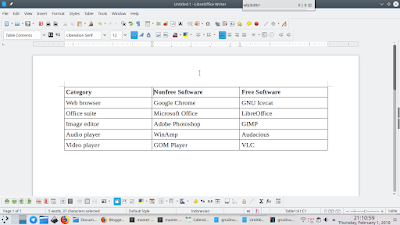 Create a table in LibreOffice Writer. 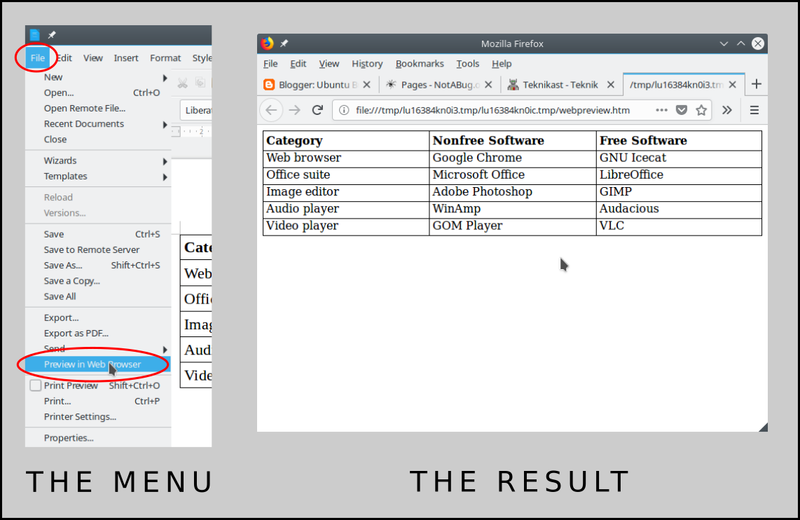 Go to menu File > Preview in web browser > your browser appears > your table appears in a new tab. On the browser tab, select the whole table > Copy (Ctrl+C) > go to your Blogger.com dashboard > Paste (Ctrl+V). On Blogger.com post editor, press Preview button to see how the copied table looks. It should look like this. Notice there is still an empty space on the right side of page. You just need a little code to make the table looks good and easy to read. On Blogger.com post editor, press HTML button > HTML code of your post appears > change the code style="width: 100%px; to be width="100%" > press Save button > press Preview button > see if your post appears good with the table. After editing the code, now the table spans in full width, and no more empty space on right side of page. This way the table is ready to be published. To edit the table, edit it until finished on Writer, and then copy the finished table to your post. 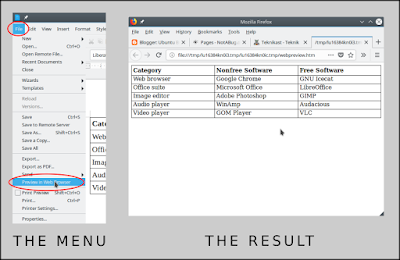 This is the best way rather than manually editing the code in the Blogger.com post editor.